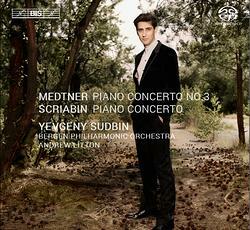 Scriabin & Medtner 3rd Piano Concertos recording wins the 2016 International Classical Music Award! Scriabin & Medtner 3rd Piano Concertos recording wins the 2016 International Classical Music Award ! !